Lucía Robelo is a Spanish instructor at OSU, and the Program Coordinator for the Chillán study abroad program offered by the Department of Foreign Languages & Literatures. OSU students participating in the Chillán study abroad program spend the entire fall term in Chile, and some students spend additional 1-3 weeks traveling in Chile and South America during their winter break. Every year we have had 2-3 students who decided to stay longer, for one or two more terms in Chile. These students have continued being full time OSU students and received Financial Aid by taking online classes during their extended stay in Chile. A few students even decided to live in Chile for a few years! Chile has many things students really love. Many of them say that they have never been so happy when they are in Chile. During their stay, students gain confidence in their oral skills and also work on their writing skills. 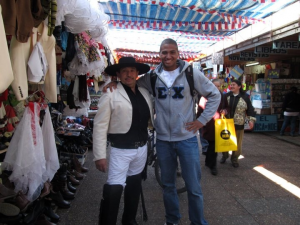 They learn a lot about the Chilean culture as well as about themselves and their own culture. 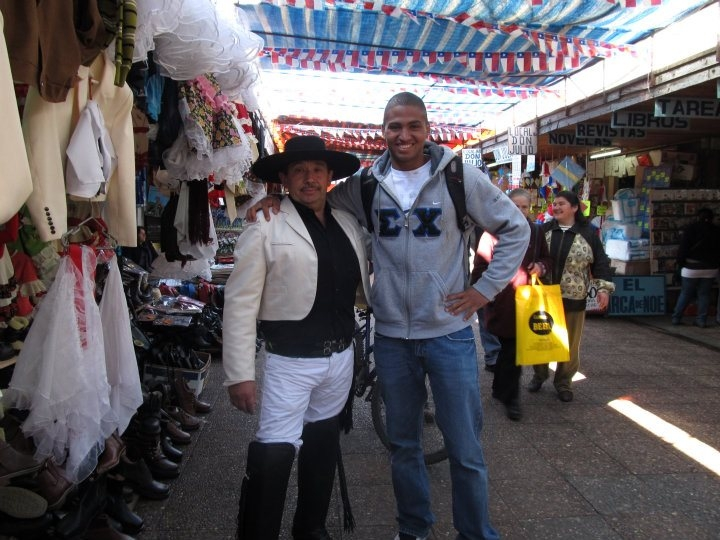 Before departing from OSU, students are paired up with a compañero or compañera chilena, that is a Chilean partner attending the Universidad del Bío Bío, where OSU students study in Chile. 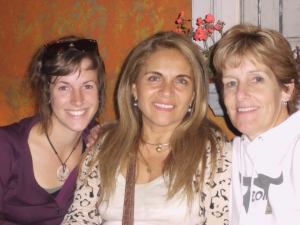 Tara Hermens and her two moms: her Chilean mom and her American mom who came to Chile to visit her. Program participants are the best ambassadors. For many of them, this program is their first trip abroad on their own, without their family. In Chile, they are welcomed by their host family from the moment they arrive in town, and stay with them for the entire three months. Besides the language learning opportunities, host families provide the main cultural context in which the students will function. The bonds that develop between our OSU students and their host families are long-lasting. The program includes three excursions, and host families regularly take their OSU host children on outings during their three-day weekends. Other times students plan their own weekend with their compañeros chilenos. Every year, students consistently state that the highlight of their experience was the relationship they developed with their host family. For OSU students pursuing Bachelor of Art degrees, this program is all they need to complete the B.A. language requirement. The program has proven to be a favorite choice for students completing their Second-Year Spanish at OSU. As the Chillán Program Coordinator at OSU, I teach the pre-departure spring orientation class. In this class, we talk about their fears and anxieties about their upcoming study abroad experience and ways of coping with them. Past participants volunteer as TA’s for the class by sharing their enthusiasm and stories from their own experience. Statements like “I never knew that learning Spanish could be so much fun”, or “This has been the best experience of my life” are repeated every year. 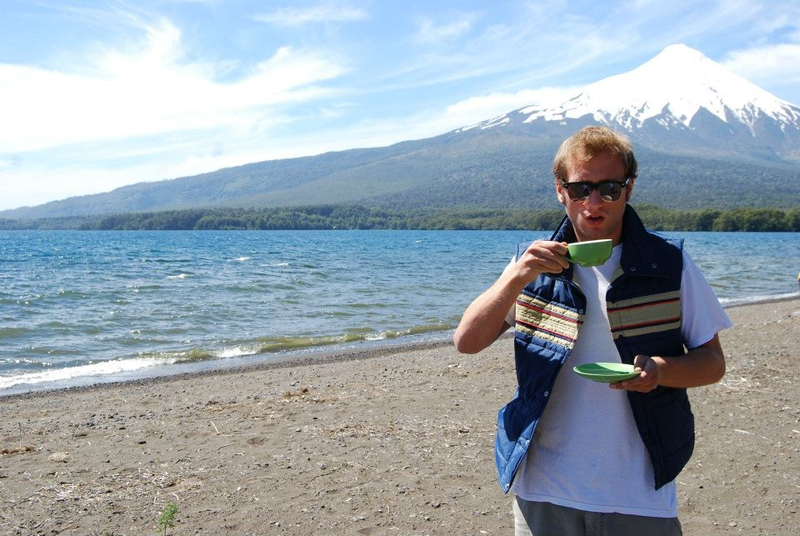 Caleb Green enjoying his coffee in southern Chile. I am happy to say that every year, when I see my students upon returning from Chile, their Spanish has improved so much that they want to speak only in Spanish with me. I hear them talking about Chile with a big grin on their face, telling me how much they miss Chile (“extraño mucho Chile”). I feel very fortunate to be in this role. Those smiles are the best reward for me. For more information, please contact Lucía Robelo, Program Coordinator, or visit the program website. 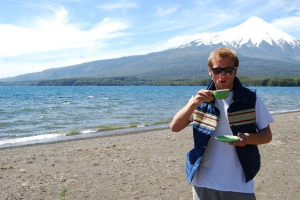 Read a blog entry by one of the Chillán program participant. Posted in Chile, Spanish, study abroad.